The Drugging of Children: A National Disgrace. This article was originally published in the Santa Barbara News-Press (California) on February 8, 1998. It was updated on October 24, 2011 after the American Academy of Pediatrics expanded its guidelines for diagnosis of ADHD. ADHD is considered a chronic medical condition. Children (mostly boys) who are diagnosed with ADHD are distractible or impulsive, and overactive. The primary treatment is psychiatric medication, and the drug of choice is Ritalin (methylphenidate), an addictive stimulant similar to amphetamines ("speed") that has a paradoxical calming effect on children. The U.S. consumes five times more Ritalin than all other countries in the world combined. With the new recommendations, physicians are now allowed to prescribe psychiatric medication for children as young as four who meet the diagnostic criteria. These new recommendations are based on a review of research studies. Not surprisingly, many of these studies were funded by generous grants from the pharmaceutical companies that produce these medications. On the surface, it looks as if Ritalin is the perfect solution for a child with ADHD. When Johnny is labeled a problem by the schools, the parents feel pressured to get a medical diagnosis and treatment. There is no doubt that the jobs of parenting and teaching become easier when children sit still and do what they are told. No wonder these drugs are so commonly prescribed! Let's look beneath the surface. It is not known how Ritalin works or exactly what it does to the brain, nor has the safety and efficacy of long-term use been established. It is an addictive substance that the Food and Drug Administration has placed in the same category as cocaine. 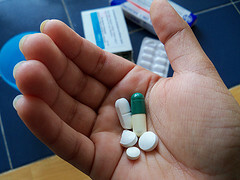 Ritalin has potentially dangerous side-effects, and drug withdrawal often results in a return of symptoms, in some cases more severe that before. 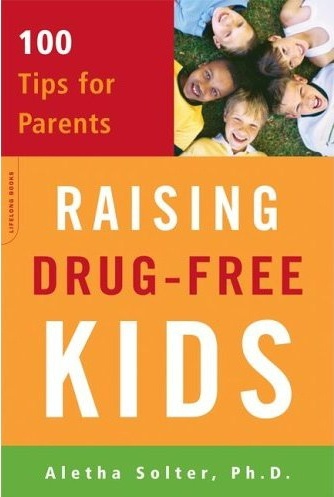 What kind of message are we giving to children when we teach them that their behavior and feelings should be altered with drugs? Are we not setting them up to become drug addicts later in life? Ritalin is one of the most highly abused drugs on high school and college campuses, where students take this easily available drug as an all-night study aid or a cheap "high." There have even been reported deaths from Ritalin overdose. The status of ADHD as a medical disorder has not been established. Although it is considered to be a neurobiological disease, no biological factor has been found to be the cause of these children's behavior, and there is no medical test to diagnose it. Instead, the diagnosis is based exclusively on teachers' and parents' subjective observations. The check-list for diagnosis in the Diagnostic and Statistical Manual of Mental Disorders includes such behaviors as "Often does not seem to listen when spoken to directly," "Often avoids, dislikes, or is reluctant to engage in tasks that require sustained mental effort (such a schoolwork or homework)," and "Often has difficulty awaiting turn." Are we justified in giving children powerful addictive drugs to make them docile, simply because their behavior is annoying? While Ritalin and other related stimulants tend to help children sit still longer and focus on school-related tasks, there is lack of evidence indicating long-term improvement in academic performance, as measured by achievement tests. Furthermore, studies have revealed that Ritalin does not totally eliminate problem behaviors in the majority of children, nor does it guarantee improved social relations. Millions of parents are led to believe that their children need Ritalin. But giving Ritalin to children is a superficial solution that changes children's behavior without addressing possible underlying social, emotional, or environmental causes. Maybe our schools are not geared to the needs of these children. There is research indicating that many hyperactive children function "normally" in less rigid, open classroom settings with opportunities to learn through hands-on activities, creativity, movement, and games. Many children's symptoms disappear, as if by magic, when the children engage in activities of their own choice outside of school. Rather than give drugs to children to make them sit still in school, why not search for ways to make school more interesting or relevant for these children? Another possibility is that children who can't pay attention have been affected by watching too much television and videos. The rapid shift in images on a screen causes children to lose their ability for sustained focusing. Also, the activity, violence, and impulsive behavior of cartoon and live characters in children's films serve as a role model for similar behavior. Children are forced into unnatural passivity while watching a screen, and this is often followed by a rebound effect: a burst of pent-up energy as soon as the device is turned off. Let's not overlook the importance of diet. What are these children eating? Do they have vitamin deficiencies, food sensitivities, or allergies? Are their brains being affected by toxins in the environment? Even when hyperactivity or difficulty concentrating is caused by prenatal drug exposure, are we justified in further damaging these children's brains with addictive psychiatric drugs? These are the children whose brains need the most protection from further drug exposure. We know that experiences can change the very structure and fuction of the brain, which has an enormous ability to heal. Why not search for the kinds of experiences that can help to reestablish homeostasis in these children's brains and improve their behavior? For example, certain forms of play (such as cooperative games and rough-and-tumble play) can improve the behavior of children labeled ADHD. Finally, one should always consider the possibility that an ADHD child is suffering from an overload of stress or the effects of unhealed trauma. There is evidence that major family stresses (such as parental mental disorder, divorce, or hospitalization) correlate with ADHD, and many of these children also show symptoms of depression, anxiety, and conduct disorders. Trauma caused by a difficult birth, major medical procedures, sexual or physical abuse, or multiple foster care placements should also be considered. Dr. Van der Kolk, a psychiatrist at Harvard, has found that hyperactivity is a common symptom of Post Traumatic Stress Disorder. Unfortunately, very few researchers or practitioners bother to take a trauma history of ADHD children. When stress or trauma are suspected, every effort should be made to reduce stress for these children and their families, and to offer psychotherapy that allows the children to release tensions and resolve past trauma. 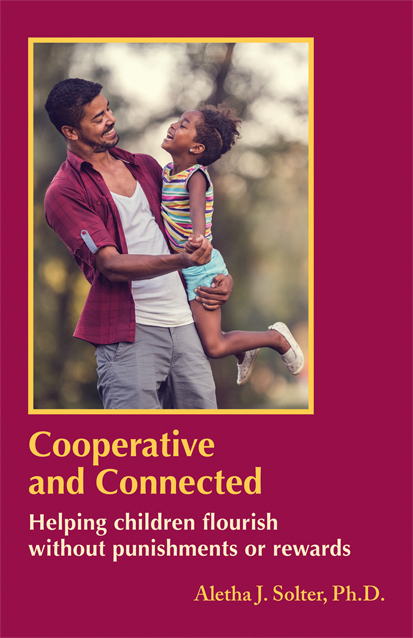 Children can heal from trauma when they feel safe enough to cry, and they can also benefit from certain forms of therapeutic play and laughter. There is no simple answer. In fact, there might be as many different causes for ADHD as there are children diagnosed with it. Meanwhile, let's not settle for a deceptively easy solution in which the only real winners are the pharmaceutical companies. 1. Find a school that offers plenty of choices and self-directed learning through movement, games, and hands-on activities. 2. Turn off the TV and leave it off. Discourage all other screen time as well, including computer games. 3. Look for all possible sources of stress in your child's life, and try to minimize stress. 4. Give your child plenty of unstructured play time with opportunities to run, jump, dance, climb and build. 5. Give your child plenty of tactile experiences with clay, finger paints, sand, and water. 6. Take time each day to appreciate some aspect of nature with your child: view a sunset, smell the flowers, listen to the birds, go wading in a stream. 7. Set up special times to be with your child on a daily basis (if possible) during which you are totally non-directive and let your child decide what to do. 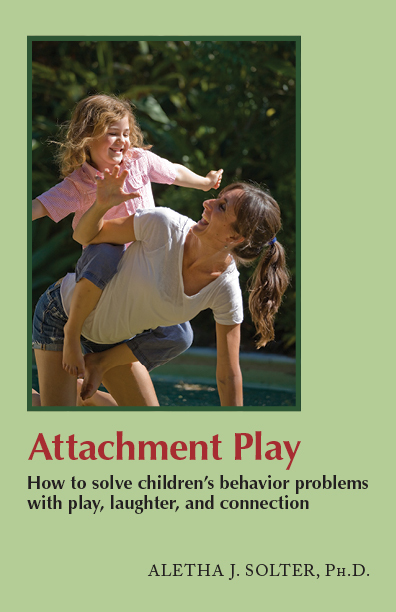 Also engage your child in cooperative games and playful wrestling with laughter, in which you let him "win". 8. Refrain from the use of authoritarian methods of discipline, which can cause resentment and frustration in children. Look for underlying reasons for behavior, and strive for mutual conflict-resolution. 9. 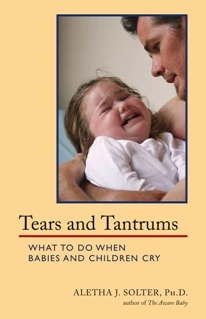 Accept your child's attempts to release tensions by crying and raging. Don't discourage these natural stress-release mechanisms. Children are much calmer and have a longer attention span after a good cry or tantrum (with someone's loving attention). 10. Slow down and try to relax. Remember that your child is a wonderful, unique human being, and that there is probably nothing wrong with your child's brain. Parenting is a difficult job. Try to get all the help and support you need. This page was last updated on May 17, 2018. Copyright © 1998 to 2018 by Aletha Solter. All rights reserved. No part of this article may be reproduced or transmitted in any form or by any means, electronic or mechanical (including copying to other web sites, and including translations), without written permission from Aletha Solter. Warning/Disclaimer: The information in this article is not intended to be used as a substitute for medical advice or treatment. When children display emotional, behavioral, or medical problems of any kind, parents are strongly advised to seek professional advice and treatment. Aletha Solter, The Aware Parenting Institute, and Shining Star Press shall have neither liability nor responsibility to any person or entity with respect to any damage caused, or alleged to be caused, directly or indirectly by the information contained in this article.